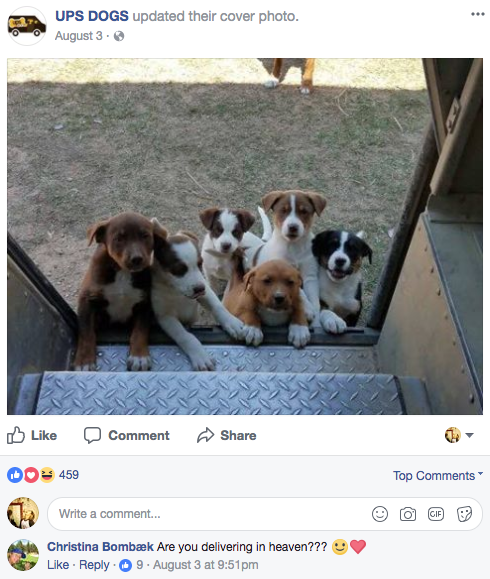 Members of the group told BuzzFeed News drivers will use their work breaks to play with pups, and use their own money to buy and give treats to them on their routes. Sean McCarren has been working for UPS for 17 years now and is a proud “driver of the big brown truck,” he told BuzzFeed News. One of the greatest perks of his job, he said, is the dogs he meets on his routes. “I wish we could just hang out with the families and their dogs all day, but it’s just not feasible,” McCarren said. 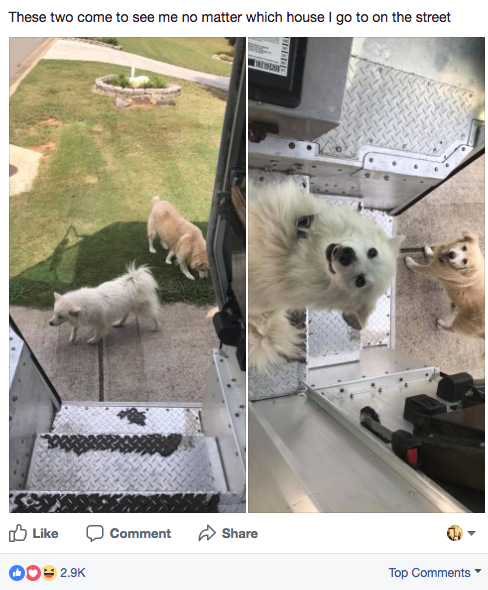 He explained that he and other UPS drivers will often take their work breaks to play with these dogs who run up to their trucks or greet them when they come to people's front doors. 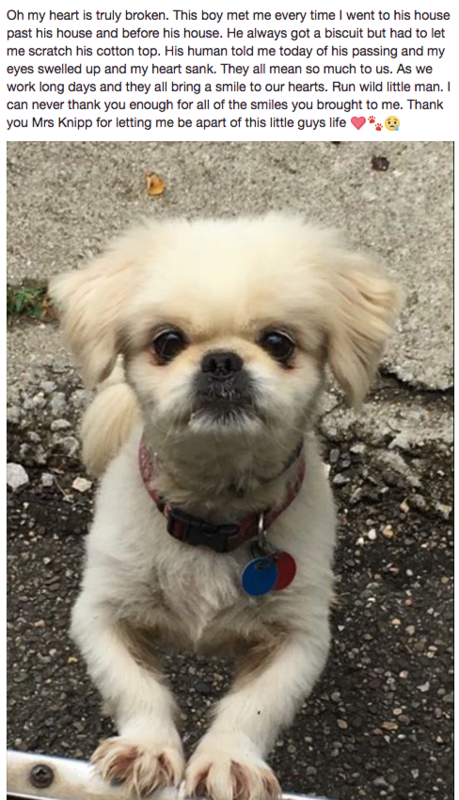 Five years ago, McCarren was inspired to start a Facebook group — a community of sorts — for him and other UPS drivers to share photos and videos of their pup friends. He named it UPS Dogs. “Meet Jax!! 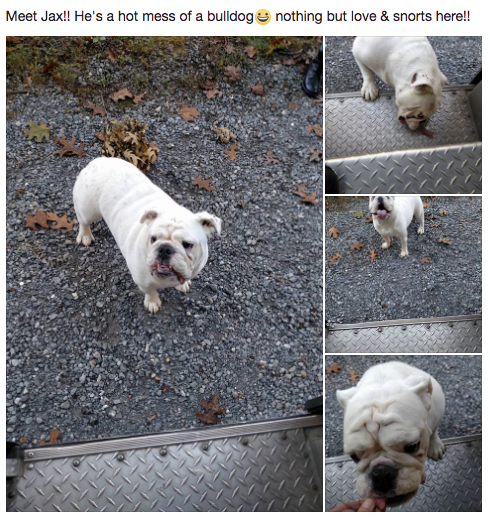 He’s a hot mess of a bulldog 😀 nothing but love & snorts here,” one driver’s recent submission said. Charlie recently had a litter of 15 puppies! (The father of the pups lives in the the neighborhood as well, Skender said.) Skender shared the video of Charlie enthusiastically showing her pups to him on his route last Wednesday to the Facebook page. He explained that many drivers will buy and bring biscuits to their route dogs every day. 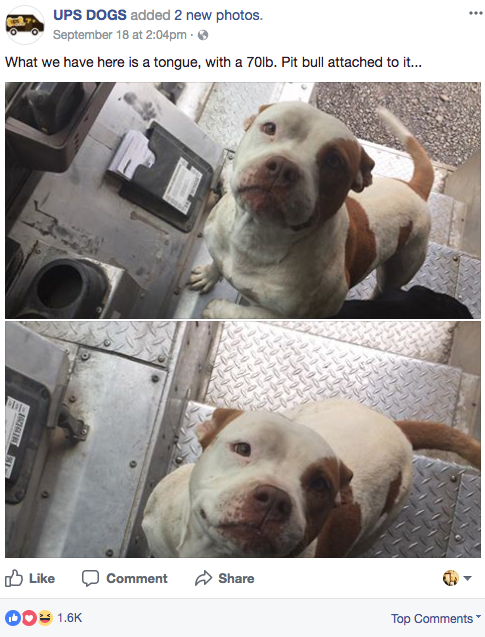 UPS DOGS does not discriminate either — McCarren will also feature friendly route cats. 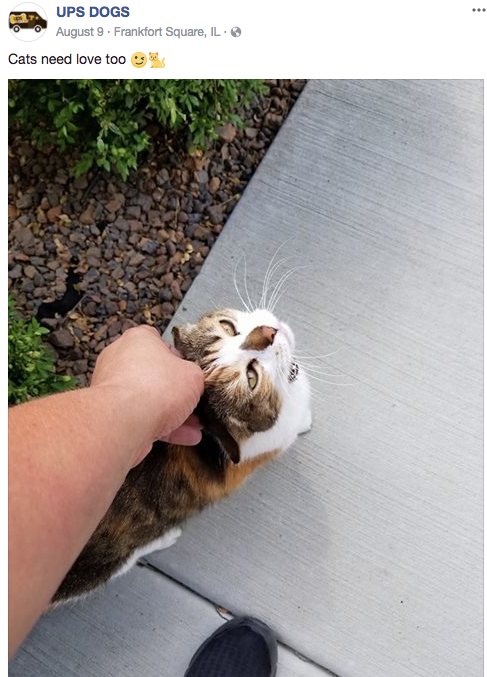 Sometimes, sadly, drivers who’ve built a relationship to pets, and who’ve shared photos throughout the years, will also post updates when they die. “His human told me today of his passing and my eyes welled up and my heart sank,” one driver wrote.